Every child wants to be understood by their parents. Every child wants to be appreciated for what makes them unique. Every child wants an opportunity to be heard, and to be allowed to be themselves. Most parents want to give this sense of understanding and individuality to their children, but it’s easier said than done. I think almost every adult I talk to in some depth will eventually say that they wish their parents had understood them better. 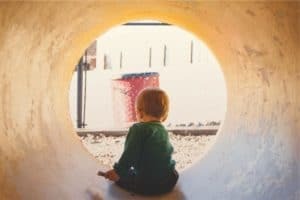 While no parent can be perfect, a knowledge of personality type can make understanding and fostering your child’s unique character a whole lot easier. Now before I go on, I have to admit I’m no perfect parent, and I don’t always understand my children like I should. There also are plenty of amazing parents out there who have no knowledge of MBTI® whatsoever. 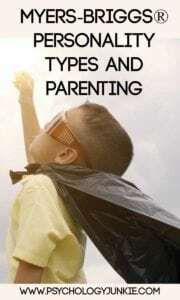 For me personally, and I think for many others, having a knowledge of the personality type can make the challenges of parenting a whole lot easier! When I had my oldest daughter, Melody, I assumed she would go the typical route of young girls and be interested in princesses and pretty dresses and hair bows. What I got was a fiery little tomboy who loves dragons and dinosaurs and wanted her hair cut short so she didn’t have to bother with brushing it. This isn’t something I pushed her into. I didn’t surround her with “boy” toys and try to coerce her into those interests; from an early age she rejected princesses in favor of superheroes, and dolls in favor of plastic dinosaurs. She preferred sweatpants and t-shirts over dresses, and would rather play Minecraft than have anything to do with Disney Channel tween girl nonsense. I didn’t do anything to make her that way. She had a quiet intensity from the moment she was born. She was a serious little baby, who turned into a blunt, straightforward little toddler, and now she’s my beloved, intelligent INTP daughter. Knowing my children’s personality types has helped me so much as a parent. I know my ESFP step-son needs a lot more hugs and physical affirmation when he’s upset; whereas I know my INTP daughter needs more physical space and time to think when she’s upset. If I treated them both the same when they were upset, one of them would be incredibly irritated. Knowing what works for each child helps me as a mom, every single day, tremendously. If you know your child is an SJ type, then you’re going to want to provide that child with a more predictable routine and they’ll thrive under more clear black and white guidelines. If you have an SP child you’re going to want to teach your child through hands-on experiences, and let them learn by ‘doing’. If you have an NF child, you’ll want to foster their imagination and idealism. How Can I Know My Child’s Personality Type? Knowing the personality type of your child can be kind of tricky, but it’s worth it! There are times when it’s difficult figure out the entire four letter type of a child early on because children haven’t fully developed and matured in regards to their cognitive functions. You can find out how to type your child in my eCourse, Parenting by Personality. However, to begin, it can be somewhat easier to define what temperament group your child falls into; are they an SP Adventurer, an SJ Defender, an NF Dreamer, or an NT Investigator? Knowing this alone can be a huge help to you as a parent! You’ll be able to figure out whether your child is an extrovert or introvert by looking at them and their interactions with others. Are they more independent and energized by being alone? Are they more energized by being in a group? Most kids are going to want friends; so you can’t simply call them an extrovert because they want friends. But you can tell by looking at them after social interactions to see if they seem exhausted and want to be alone, or if they seem energized and ‘amped up’ by the experience. You have to understand that extroverts and introverts both need some alone time and some social time, but the real question is which interaction gives them the most energy. Generally speaking, an extroverted child will be more dependent on social interaction and will be more energized by this. They may think out loud, and have a louder volume to their voice than an introverted child. And generally speaking, an introvert will be able to pursue things better independently, and will be more energized after some alone time to play, learn or imagine on their own. They may think and reflect more before speaking, and may not speak as loudly. However, there are variations among types, and if your child grows up in a loud family, they may have more of a tendency to be loud just because that’s the only way they can be heard. 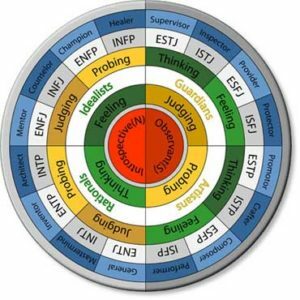 Always remember, the MBTI only tells you so much, environment is also another huge factor. What About the Other Functions? If I were to explain every other cognitive function here, it would take a while. If you want to read more about the cognitive functions, you can do that here. With kids it can be especially hard to figure out all four letters, so I’m going to just give some basic clues to figuring out your child’s type. The most common personality, SJ’s make up roughly 45% of the population. SJ children are usually responsible and reliable kids, who value stability very highly. They will work better in a scheduled environment with clear rules and guidelines, and will like structure and traditions. They are going to be practical and concrete in their thinking, regardless of their thinking or feeling preference. They usually do well in elementary school, since elementary teaching attracts SJ types. They learn best through step-by-step instructions, and are often very service-oriented. Your SJ child will thrive on a schedule, with clearly defined expectations. A sure way to stress out your SJ child is to make sudden, last-minute changes in plans, have an unpredictable routine, or to teach every lesson through metaphor and theory. Be straightforward, practical, kind, and conscientious of your SJ child’s need for order and structure and the practical. SP children are the second most common type, making up 27% of the population. SP’s are spontaneous, active, hands-on, “here and now” children. In fact, no type lives in the present moment more than the SP types. They make very playful, adaptable, energetic children who usually think in very concrete terms. They’re more likely to be kinesthetic (hands-on) learners, and will be drawn to things involving sensation; beautiful colored paints, thrill-inducing roller coasters, building sandcastles, or just jumping and dancing and playing as actively as possible. In school, they can sometimes be mislabeled as ADHD because of their need to move and be active; they can be extremely intelligent, but prefer to learn by ‘doing’ rather than sitting still. They usually excel in either athletics, craftsmanship, or the arts. A sure way to stress out an SP child is to force them into a very tight, rigid schedule, make them sit still for an extended period of time, speak to them in theoretical, abstract terms, or give them limited opportunities to work with their hands. Try to give them plenty of opportunities to be active, build and craft, and explore their creative side. Be open-minded, playful, and active with your SP child and give them plenty of opportunities to use their physical abilities. The NF types make up roughly 16% of the population. These children are highly imaginative, passionate, and people-oriented. They think abstractly, looking for patterns, and meanings behind behaviors. They want to understand others and themselves, and usually make excellent listeners. They are highly ethical, and are extremely sensitive to criticism. They are the daydreamers, the poets, the romantics, and they tend to be very complex. To sensor types, they can seem strange or not realistic or concrete enough. However, these types are some of the best diplomats and counselors out there. A sure way to stress out an NF type child is to be overly critical, not listen to their daydreams, to call their idealistic thoughts silly, or to make them focus most of their attentions on the concrete or here-and-now. They are future-minded, idealistic people who need time to express or imagine their rich inner worlds or their dreams. Be open-minded, demonstrative, and as gentle as possible with your NF type child. The NT types make up about 10% of the population. These children are the skeptics, the problem-solvers, the analyzers of the world. They are driven to understand how the world works, and are usually visionaries when it comes to figuring out ways to earn money, conduct science experiments, or design something (their interest in these fields will depend sometimes on which NT type they are). They are future-minded and theoretical, and will ask endless questions. They often seem debative as children, because they need to figure out the core truth of any and everything they’re going to accept as fact. They don’t take anything at face value, but must learn to accept a truth through questioning it. They are ingenious, logical, often strong-willed, and strategic. They tend to have a harder time in elementary school, where their debative or theoretical minds aren’t as compatible with a highly SJ-composed teaching community. It’s not that they can’t do well in their studies – they often get excellent grades; but they can be seen as too debative for teachers who want them to sit still, listen, and accept without questioning. The best way to stress out an NT type child is to shut them down and not let them question something important, to explain things emotionally instead of logically, to expect them to conform to something just because it’s “the way it’s always been done”. Be patient with NT types, give them a chance to ask questions, and give them opportunities to experiment, whether it be with science or a new money-making idea. If you’d like to know more about the Myers-Briggs type theory, you can check out my guide to recognizing personality type in childhood. You can also check out my eCourse, Parenting by Personality. I hope this post has been helpful to you! If you have any insights or tips, let me know! I’d love to hear from you in the comments! Great post! I was actually thinking about this this morning if you would believe it! Thank you! I really appreciate it! I definitely try to figure out ways to customize my parenting to my children’s needs. It’s very rewarding. I actually wrote a post yesterday on introverted intuition. Since you’re an INFJ you might enjoy it! Any good ideas on how to get an ENF to be productive in any way? That sounded more negative than I wanted it to, but my 12 yr old step daughter literally wants to talk every moment of the day and is TOTALLY CRUSHED if you tell her she has to stop talking and do her homework, or a chore. Or just because I’m INTJ and after about 45 minutes of her talking nonstop I’m about ready to pull my hair out. But really, i don’t know how to get her to do anything, because even if she stops talking long enough to start a task, 3 min into it something reminds her of somehing and she has to talk about it and quits doing anything. Sometimes it frustrates her too. I can definitely relate to you! I have an ESFP stepson, and he’s quite the chatterbox. I love him immensely, but being an INFJ with lead introverted intuition, constant babble can be very disruptive to me. You also lead with introverted intuition so interruptions are one of the most frustrating things for types like you and I. She sounds like an ENFPs to me, but could be either ENFP or ENFJ. ENFPs lead with extraverted intuition, so they see possibilities and rabbit trails everywhere to be followed. They have incredibly active, imaginative minds, but very short attention spans because they are always off onto the new idea. ENFPs also are notorious for starting and not finishing projects. They like to chatter constantly about a million different ideas. This is a section from a book called Nurture by Nature, which is really good when trying to figure out how to manage your children’s different personality types. I’ve used it a lot when trying to figure out how to best parent my stepson and daughter. If you click the link you should be able to see the entire section on ENFP children. It may be helpful to you! 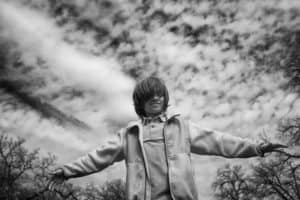 For me personally, with my ESXP son, and all the talking, I try to find ways to harness his energy; maybe riding a bike or doing something active. The more energy he has built up, the less relaxed he’ll be, and if I can get him to use some of it up, he’ll be able to concentrate on other things. Of course, this is a particular problem for SP children, and I’m not sure if it would apply as well to ENF children. Maybe setting aside a few specific times (or one time) during the day to talk everything out would be good, but letting her know during these other times that you need things to be more quiet? Tell her to keep track of all her ideas in a little notebook and then you can have a family chat session or something? Not sure if that would be a good idea or not, just thinking ‘out loud’ here.